Dr. Mewes’s research focuses on the investigation of the dynamic properties of magnetic materials. As part of his research, he is using and developing the new experimental technique of magnetic resonance force microscopy to characterize the properties of individual magnetic structures with sub-micron dimensions. Dr. Mewes received his doctoral degree from the University of Kaiserslautern (Germany) in 2002. 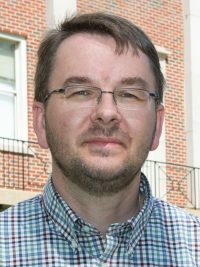 From 2003 to 2005 he performed postdoctoral research at The Ohio State University and subsequently joined the faculty of The University of Alabama.